We live in a physical realm. In our physical world, we experience it with our senses. We see things, touch things, and hear, taste, and smell things. Through our senses, we experience our physical reality. However, there’s also a spiritual aspect of our existence, which embraces the spiritual realm. Though we can’t tangibly experience this spiritual reality with our senses, that doesn’t mean it doesn’t exist. Through the Bible we get a peek into the spiritual realm and can get an awareness of what that implies. Through the Bible we can discover three critical characteristics of God. First, he is omnipotent, which means he’s all powerful, Almighty. Next, we see that God is omnipresent. This means God is present in all places at the same time. He is everywhere, all the time. Third, we see God as omniscient, which means all-knowing. God knows all things. everything. These words all start with omni. Omni means all. God is all powerful, all present, and all knowing. I like to say that he’s omni God, that is, he is all, all we need. He is everything. From the Bible we get the concept of God as a Trinity. In the Trinity we have God the Father, God the Son, and God the Holy Spirit. Yet they are one. He is three entities, yet one entity. He’s three and one at the same time. Confusing, right? The Bible reveals this to us, and we addressed this characteristic of God in prior reasons of why I love the Bible: reason #2, #3 and #4. Let’s focus for a moment on the Holy Spirit. As we’ve already covered, the Bible reveals the Holy Spirit to us. More than that, the Bible also reveals the Holy Spirit’s power. Though we see the Holy Spirit at work throughout the Bible, he takes center stage in the book of Acts, with close to one hundred mentions. The Holy Spirit also takes part in creation, as covered in the first chapter of the first book of the Bible. And the Holy Spirit is there as the Bible concludes, taking a central role in the last chapter of the last book. The Holy Spirit is powerful and the Holy Spirit lives in us. We need to listen to the Holy Spirit and then obey what he says. Throughout the Bible we read about miracles, of supernatural events that transcend physical realities. Some people make ineffective attempts to explain away miracles through logic, science, or reason. All attempts fall short. Through faith, we accept the miracles we read about in the Bible as the manifestation of the reality of the spiritual realm. The Bible reveals angels and other supernatural beings to us. These aren’t harp-playing cherubs, floating on clouds, with child-like innocence plastered on their face. These are powerful spiritual beings, created by God, who do his bidding and even battle on our behalf. The Bible also reveals another element of the spiritual realm to us. It is Satan, the devil, he exists in the spiritual realm, yet we see evidence of his work in the physical realm. Many people imagine Satan as God’s counterpart, doing battle against each other is equal, opposing forces. Last, the most important element of the spiritual realm that the Bible reveals to us is that we will experience a new life. This is a spiritual life that continues after physical death. Though no one is sure what our life-after-death existence will be like, the Bible reveals to us that it is real. 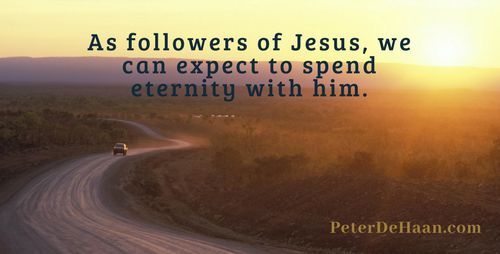 As followers of Jesus, we can expect to spend eternity with God in the spiritual realm. And then it will all become clear (1 Corinthians 13:12). We are more than corporeal, so much more. We are more than just a body. Let’s not even consider our physical being first. Instead let’s begin with our spiritual being and build upon it: we are a spirit, we have a soul, and we live in a body (1 Thessalonians 5:23). The Bible reveals the spiritual realm to us. Though it’s hard to comprehend from our present, physical reality, the Bible gives us glimpses into it and what it means. We must grasp this and accept it, for it is our future. And when we get there, I suspect it will be more real than the reality we currently experience in the physical realm.